Our founder, Gene Olsen, was an ironworker from the Twin Cities who started splicing wire rope slings in his garage. He sold these slings to local contractors and construction companies. As the area’s construction industry grew, so did his business. 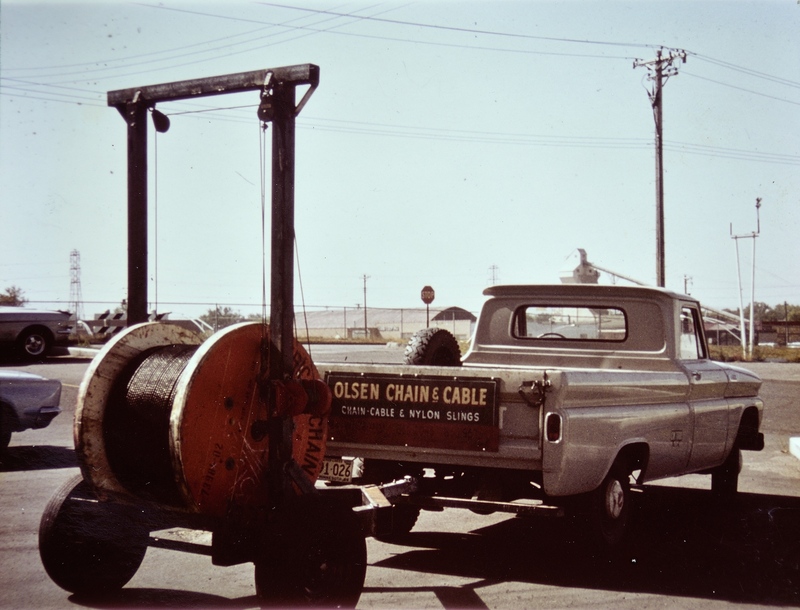 And by 1964, Olsen was able to leave his ironworking job and officially start Olsen Chain & Cable in Bloomington, Minnesota. He quickly grew beyond his manufacturing space, expanded his operation, and added new products and services. Eventually, Olsen Chain & Cable added heavy lifting equipment, overhead lifting product lines, and custom cable terminations as well as hoist rental and hoist refurbishment. As growth continued, so did plant and facility expansion. Eventually a new facility with a large showroom and space for meeting and training would be acquired, as well as a large manufacturing facility in Moorhead, Minn., to meet growing customer demand in that area. Olsen Chain & Cable also enhanced product lines and OSHA compliance consulting services. Today, construction companies and manufacturing plants rely on Olsen Chain & Cable for overhead lifting equipment, equipment rental, equipment refurbishment and OSHA inspection and consultation services. The company’s store offers abrasives, bits and blades, blocks, chain, cable and rope, fasteners, fittings, hardware, hand tools, hydraulics, power tools and safety and storage equipment. We continue to provide exceptional, American-made overhead lifting equipment to our customers, with the safety, reliability, and service they depend on.